Why do ‘Seasteaders’ love Bitcoin? Bitcoin represents more than a digital currency. For many adopters, it is a means of breaking free of government and financial institutions’ control over money. The Seasteading Institute shares those ideals. Just as libertarians in the Bitcoin community see the currency as a way to get free of fiat and avoid the financial transaction roadblocks erected at national boundaries or through credit regulations, seasteaders put their hope into the idea of new, independent cities as a way to escape the stranglehold of government systems. 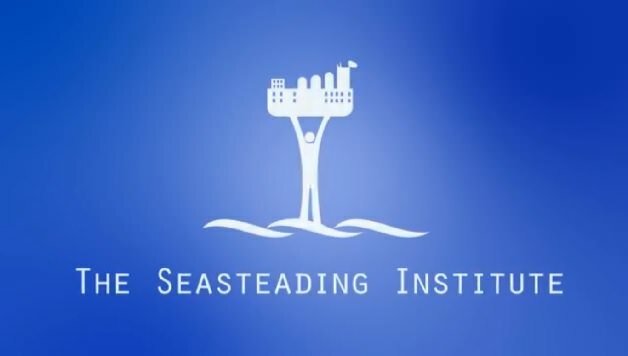 Since April 2009, the Seasteading Institute has been working toward the goal of bringing about permanent, innovative communities that float at sea. The organization is headed by prominent libertarians, including Patri Friedman, the son of political theorist David Friedman and grandson of economist Milton Friedman. Friedman stepped down as chief executive of the institute in early 2012, though he retains the position of chairman. While creating a viable, floating city would cost billions of dollars, Friedman has insisted that funding is not the real obstacle to bringing the project to life. “The challenge is getting people to see that this can be a route to political reform,” he said. The Seasteading Institute wishes to enable the creation of ocean city-states in order to advance humanity through innovative startup governments. We believe that competition in government will lead to better government for the whole planet. Governments are ultimately the stewards of institutions, which are more or less the “rules of the game.” Looking around the world, it is easy to see that some countries have better rules than others. Good or bad, however, rules can become entrenched in the absence of competition from new market entrants. Currently no new governments can peacefully enter the “governance market,” but with seasteading, experimentation with new rules is possible. Thiel has noted, “When you start a company, true freedom is at the beginning of things.” He also draws a parallel to the inception of the US government. “The United States Constitution had things you could do at the beginning that you couldn’t do later,” he said. What he seeks to explore is a way to begin fresh, with all the possibilities that suggests. Thiel has supported The Seasteading Institute since its beginning. In 2008, he donated $500,000, the same amounted he put into Facebook in 2004. Subsequent donations have brought his total contribution to around $1.25 million. Thiel is also betting on the success of Bitcoin, as his Founders Fund has invested in the Bitcoin merchant services firm BitPay. In fact, Bitcoin might in fact be the realization of what Thiel once envisioned for PayPal. Though we think of PayPal today as just another part of the standard payment system, like Visa or MasterCard, Thiel’s early goals were far more radical and ambitious. Ken Howery, one of PayPal’s co-founders, explained that Thiel was convinced that “people should be able to store their money in any currency they wanted, without fear of governments devaluing it.” While PayPal has gone on to great success as a company, it’s fallen far short of those libertarian ideals. In the same way, seasteaders seek to harness community and technology to establish a new type of civilization, one where Bitcoin could serve as a currency not tied to any nation and allowing free transactions among all.